Please direct any questions to Mari Cheney. 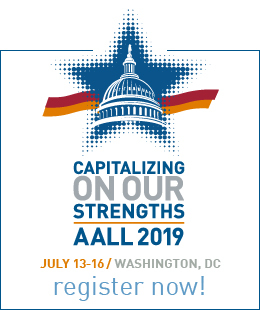 * You must be a current member of the American Association of Law Libraries (AALL) and the Research Instruction & Patron Services SIS (RIPS-SIS) in order to attend this webinar. 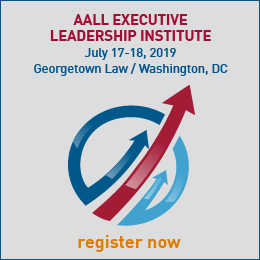 If you are not a member of AALL, you can join here. If you're already a member of AALL but not the RIPS-SIS, you can join here.